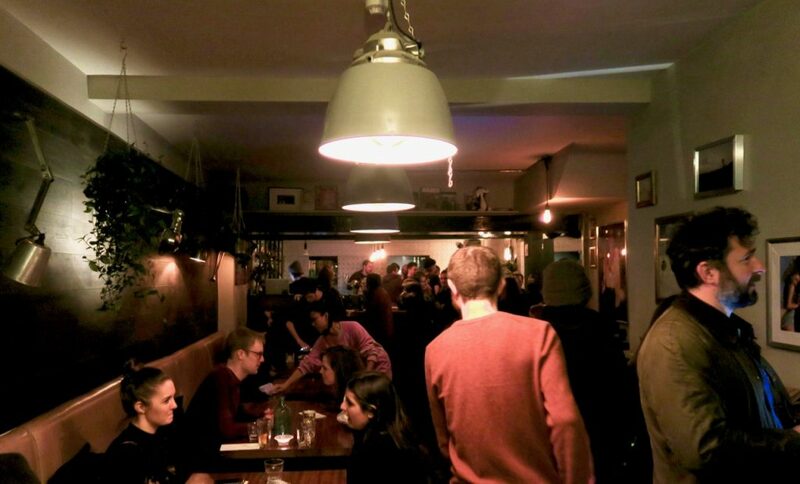 Dalston remains one of my favourite places to hangout in London and though it has changed over the years I feel that it’s independent heart still remains. As well as some of my old favourites there is always a new popup to check out. 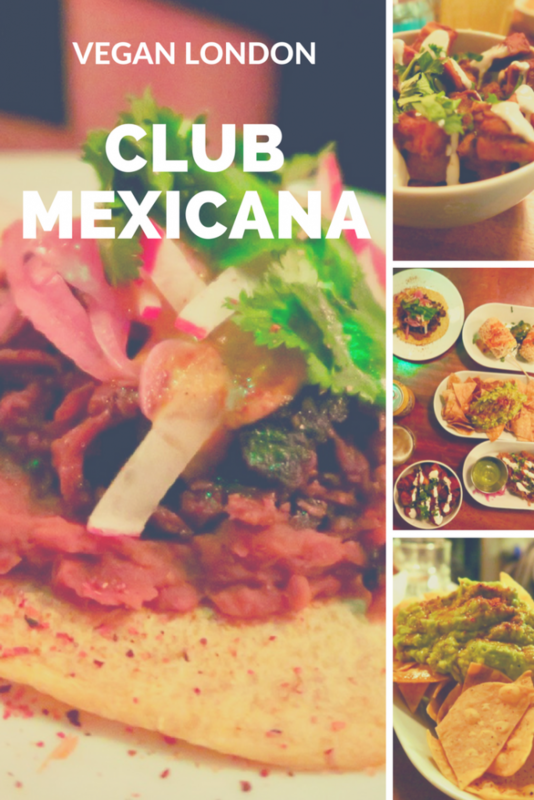 One that had been on my list for a while was Club Mexicana, a popup located in Pamela’s Bar who strive to make vegan food exciting. After a quick pint in my old favourite, The Fox, I had worked up an appetite and was ready for food. 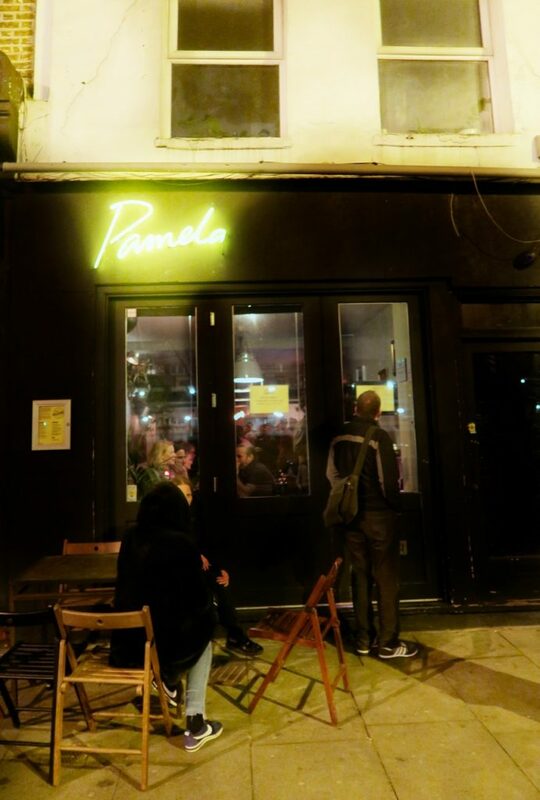 Only a 2 minute walk away we arrived at Pamela’s on time and were greeted by a friendly server to a packed restaurant. Seated at a basic table, in a small room with low lighting it was my ideal setting for a well overdue date night. Low key places are where I feel most at ease and after a long week I finally felt like I could relax. 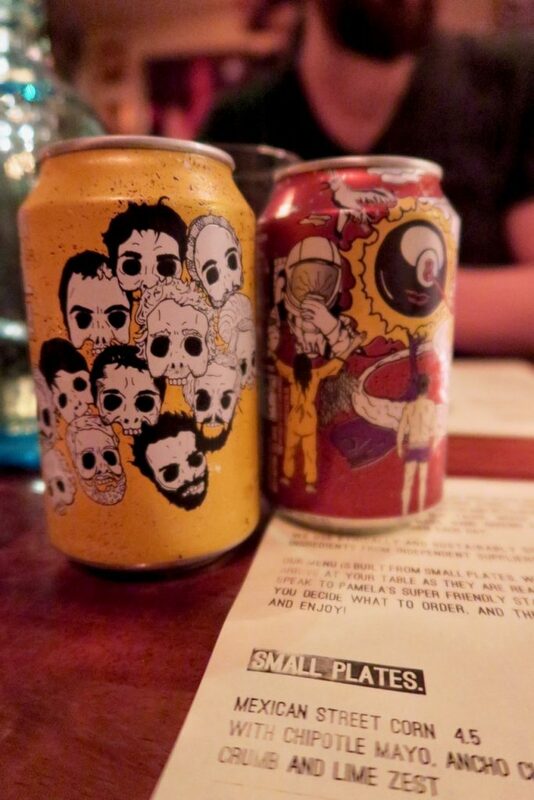 After a quick browse of the menu we were overwhelmed by the delicious selection so ordered a beer and asked our chipper waiter for help. He enthusiastically assisted us, recommending his favourites and how many dishes we should order. With an aim to prove that vegan food does not have to be boring the menu skipped out on stereotypical lentils and chickpeas, instead offering completely unique and creative dishes. This was the first time since cutting dairy out of my diet I had felt truly excited about a menu. Finally, we settled on almost everything – getting a selection of dishes to share, which is my favourite way of eating. Dishes came out as they are ready and one by one they were quickly brought to us and quickly covered our entire table! 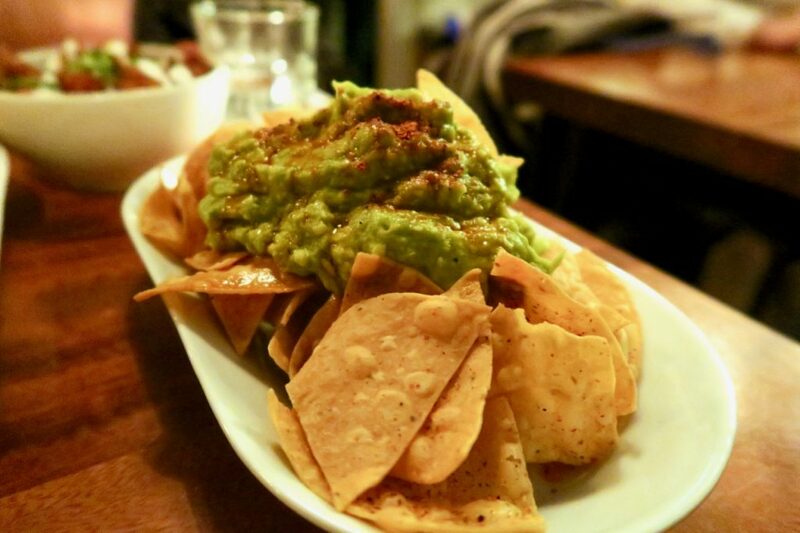 Staring out with house fried corn chips with a mountain of perfectly creamy and warmly spiced guacamole it was a simple, yet well executed, start to the meal. Corn is a cornerstone of Mexican cuisine so the street corn had a lot to live up to! 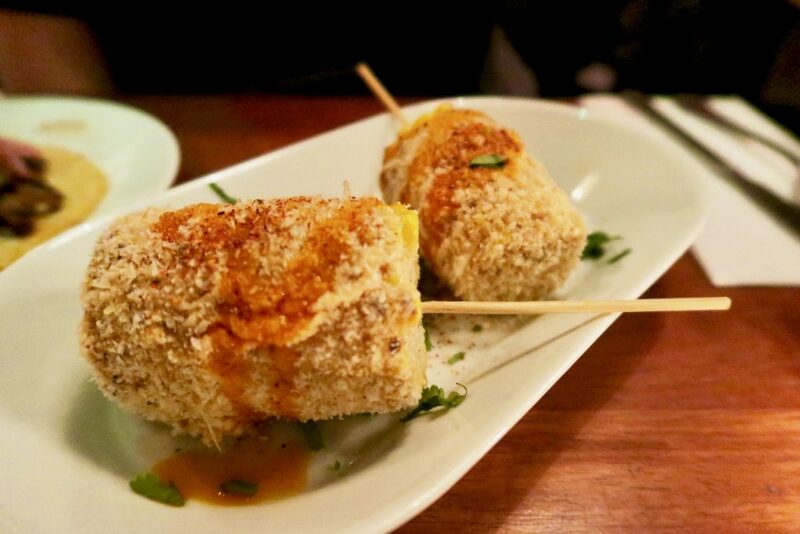 The two husks of charred corn were evenly coated in delicate chilli flecked bread crumbs, creamy chipotle mayo and zesty lime to finish it off, creating an interesting mix of texture and flavour in each bite. 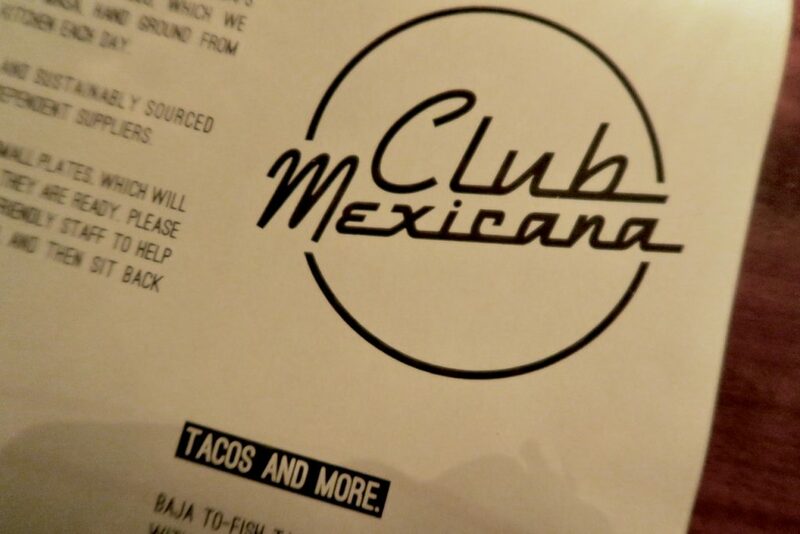 Club Mexicana extended their creativity to transform tofu into fish by rehydrating the tofu then wrapping in seaweed before frying, not only emulating the texture of fish but by some magic, the taste. 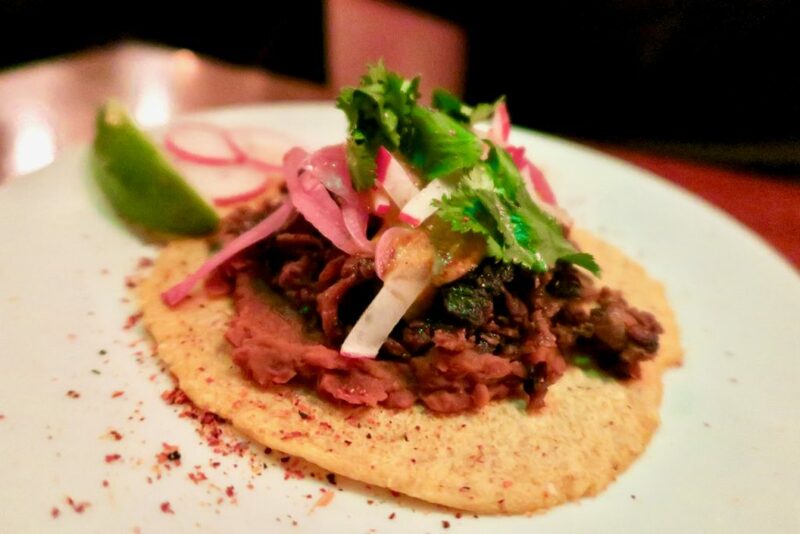 Next up was the Carne Asada Taco, the traditional meat filling was replaced with a chilli salsa, pinto beans, pink onions, radish, and coriander to create another flavour packed bite. Both dishes were delicious and were held together with the tortillas which are freshly prepared each day from hand-ground dried corn, just as they would be in Mexico. 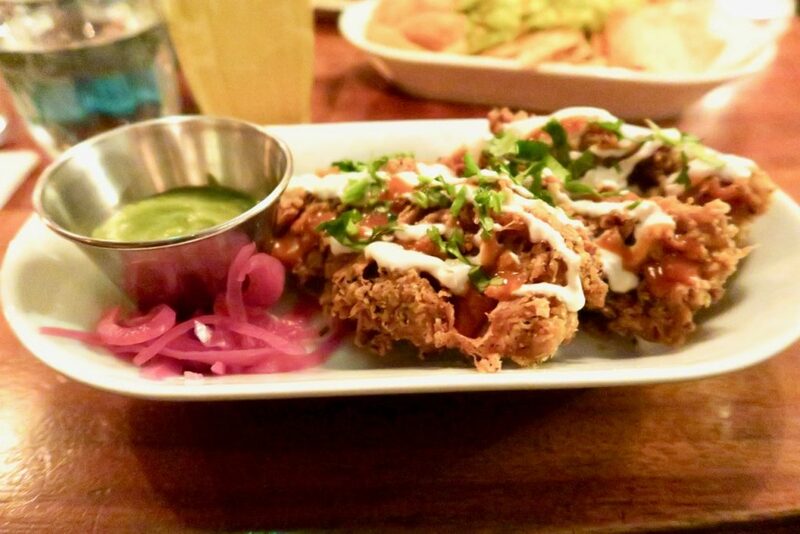 The vegan fried “chicken” served with tangy hot sauce were crisp, yet moist and was the best chicken substitute I’d had since Sweet Chick in Brooklyn which, if you read that post, you will know is high praise indeed. 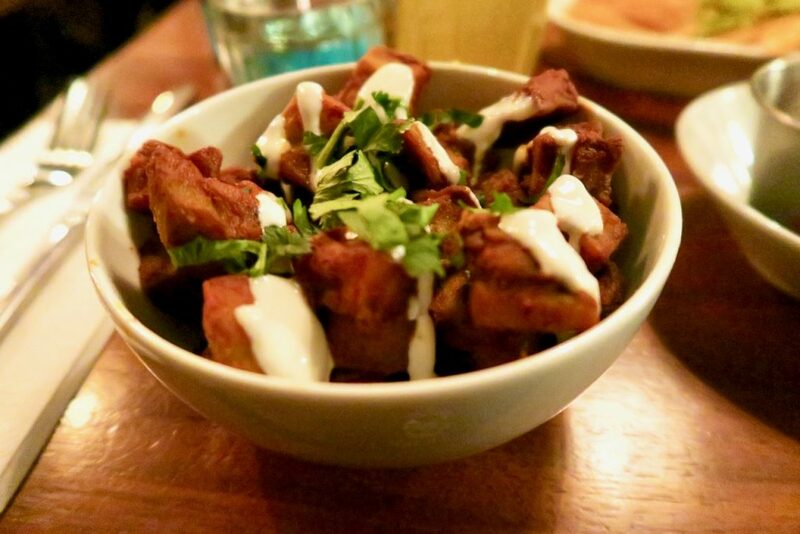 Lastly was our waiter’s favourite dish: the annotto glazed aubergine with sour cream and coriander; fried until crunchy then finished in the most delicious caramel-like glaze. 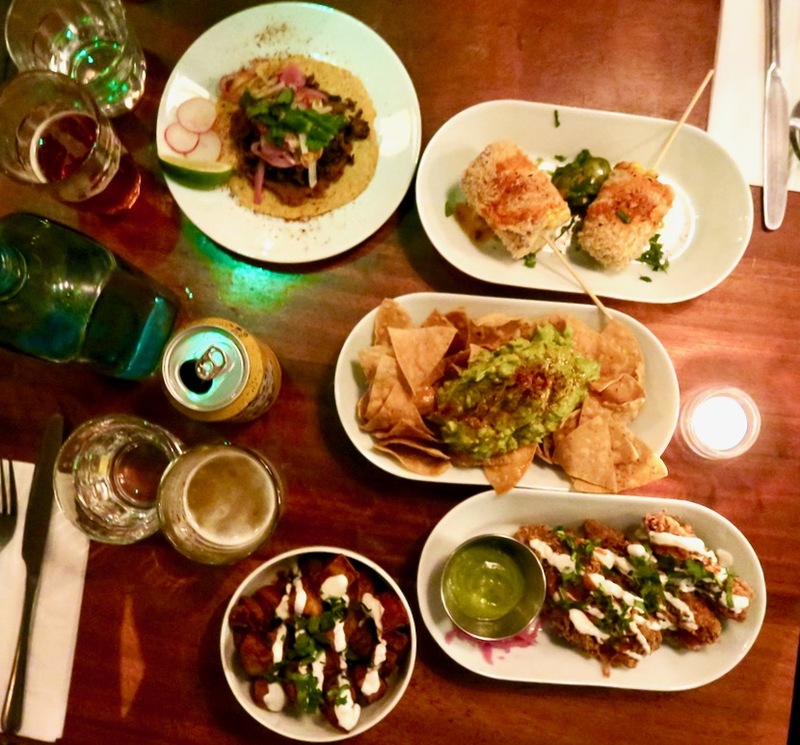 Digging in, each dish was distinctly unique, packed with flavour, and had the perfect balance between authentic Mexican technique and flavours with a modern meat free approach. I am not going to lie, vegetarian food can be bland at times so this was a refreshing take on classic Mexican dishes. 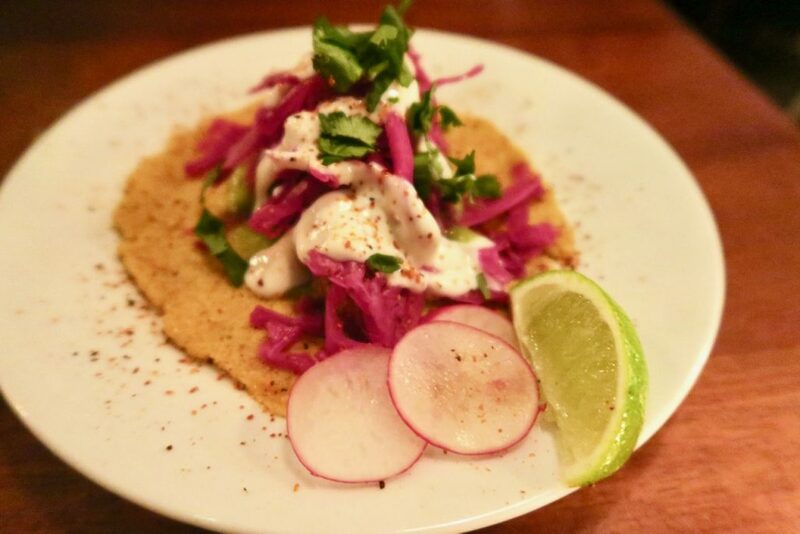 My only complaint is that I did not get to try out the jackfruit blue corn tortilla or masa pancake which just means I’ll have to book another table. If Dalston is not your side of town not to worry you can also get your vegan fill at Camden and Canada Water. If you like this post why not pin it for later? Ooooo they’re in Canada Water? That’s where I work 🙂 will definitely be checking it out soon!